So today we will be gathering our fabric!!! 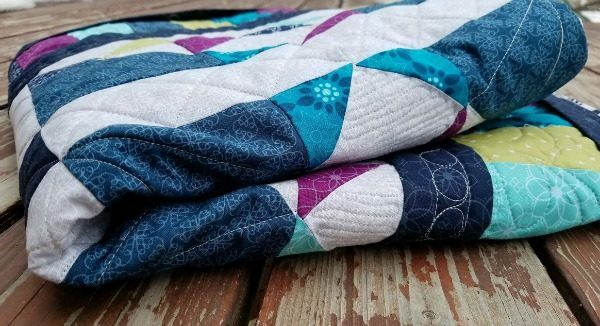 Because this is a mystery and that is sometimes so hard for you to pick fabric for, I’ll chat a little bit about it to help you decide. There is one fabric that will be the focus. It will be a larger almost 5″ block of fabric. I chose to use a dark blue fabric for this. There isn’t much pattern to it, however you are more than welcome to have a showcase fabric here that has a larger print. One thing that it needs to do is be in contrast to your background fabric. If they are too close in value they will blend and I’m not sure you will be happy with that. The other fabrics are there to support the main fabric. They can be pops of color, or….they can be ONE color with a variety of fabrics within that color. So, for example if you chose green…then all the fabrics you choose would have a green value. It’s ok to have other colors within the green, but overall keep with the one major color. For the one I chose — I mixed it up. I went with scrappy pieces and there was a variety. There was magenta, teal, blue, green. It was kind of all over the place, but in the end I liked how it turned out. The original quilt had only greens….which I loved as well. The background fabric. 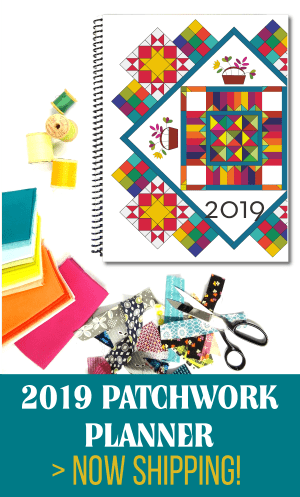 You can go with one fabric for all of it or a scrappy background where you are pulling from multiple fabrics…again all the same value and color. For this version I used one fabric for the whole quilt– for the first one, there was a large variety of background fabrics. supports to the main fabric: this was a mix of the purple, teal, green and a few spots of another blue. border: for the stop border I used the same blue as the 5″ squares. This is from the line Shelley designed for Bernartex. 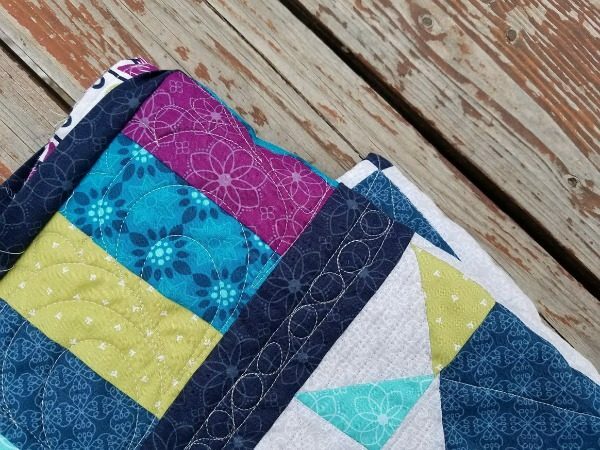 You can find more about her fabric and a quick hop around to see other projects here. Materials Needed: this is the total amount with a bit of extra included. If you are choosing scrappy, then just make sure the combination you have picked is close to this amount. 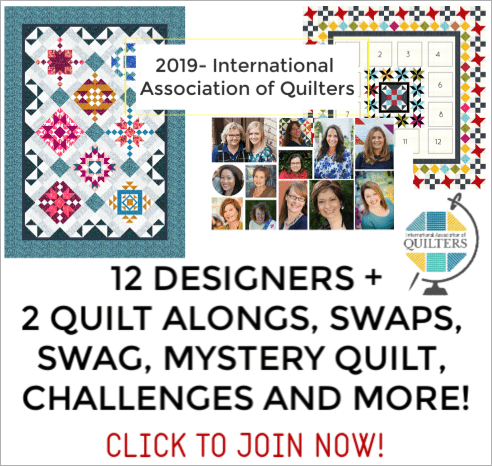 To show off your blocks– join the Quilting 101 fb group here. Can’t wait to see your blocks! 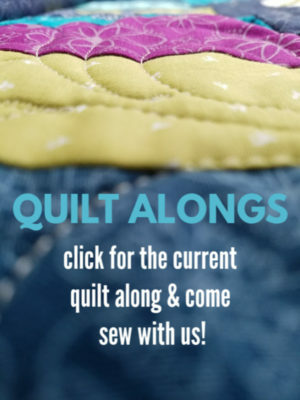 Would you like to sew along? Join the email list here and we’ll send you a note when the blocks and steps are posted! You won’t miss one more step! Are you missing some of the steps? 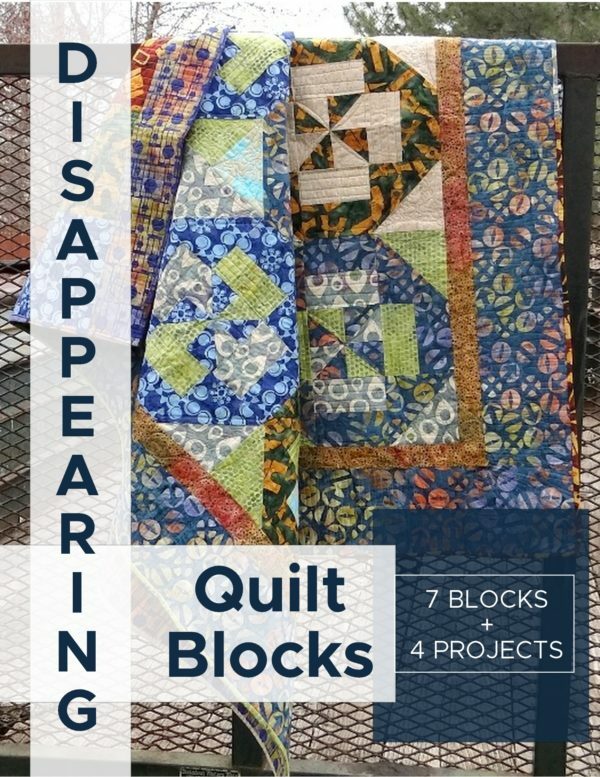 You’ll find all the info for the mystery quilt along here. I was just wondering around and found your site. I would love to sew this quilt but can’t right now. So I would like to know how to save it? Could you please let me know how to do this. I’m with Mischell….have looked everywhere on how to save the steps. Is this not possible? Thank you for your wonderful tips and tutorials.